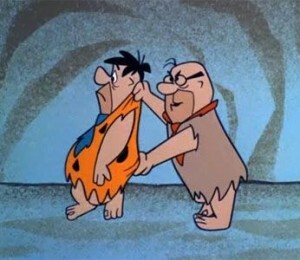 My very first exposure to the concept of a boss was watching The Flintstones, where Fred and Barney took mounds of abuse from their boss, Mr. Slate (what was his real first name, anyway?). 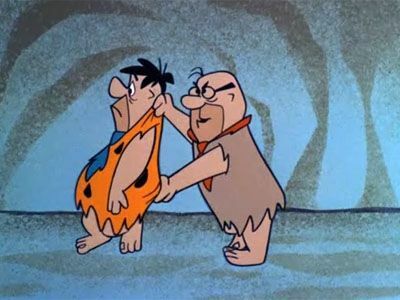 So, at a young age I thought this is the way that employees were supposed to interact with their bosses: basically avoiding them to forgo never being satisfied with the daily grind (in this case the most menial of tasks, breaking and moving rocks). After all, it takes one to know one and now that I am basically the boss I need to be very mindful of how I might embody the Mr. Slate persona – even on bad days – and make sure that I am constantly aware that my people and I are all a part of the same journey of personal growth while enriching the strategic direction of our employer. Treat others how THEY want to be treated. This is otherwise known as the golden rule and the answer to how to do this is elegantly simple, you ask them how they want to be treated (reread this sentence, it’s worth repeating). This boils down to developing a rapport with your people and is an essential tool to your collective success. If you feel like you tend toward the Mr. Slate persona, then I might suggest you put yourself in the others’ shoes, ask yourself why you’re acting this way, and work to rebuild your credibility. This can be as easy as acknowledging the discretion to someone you’ve crossed, perhaps making a sincere apology, and asking how you might move forward. Listening to the others’ perspectives here is important because you’re now in need of their help to be successful and, after all, are all pretty much in this together. In a situation where the proverbial “S” hits the proverbial “fan,” talk to your people, asking them to detail their successes AND how they might approach the situation differently to improve results. The ensuing topics of conversation are sure to spark real and raw discussion, opening the door to offer your own insights and experiences, and paves the road for a move-forward plan that can then become your focus. This avoids the blame game and should ideally be the extent of your advice to how people do what needs to be done. BTW, beyond this ideal, you might have a competence issue, which should lead to a conversation about the job, trust, and your people’s ability to fulfill them – a competent Manager should have the skills to correct these circumstances. Again, as a leader your job is to listen, taking a look at the situation from the perspective of your employee. Doing so, will empower your employees to think more like a stakeholder, will show your willingness to consider their opinions and abilities, and will prove your trust in their abilities to marry tactical problem solving with your strategic goals. Never stop learning. This should be true of how you continually challenge yourself and doing so is an excellent motivating tool for keeping your people wanting more out of the work they do (remember, they do it for you). Alongside the day-to-day tasks that need to get done, you might make a conscious effort to add something different – a stretch assignment for those who need to increase their own can-do (hard skills) and will-do (willingness to perform) indices, which you should also be tracking. Working backwards from stretch assignment goals, challenging your people can be as simple as allowing them to figure out the method used in the middle or to deliver their findings/status to stakeholders. Such efforts build trust, give a sense of ownership, and most importantly lets you know who your company’s future leaders might be.